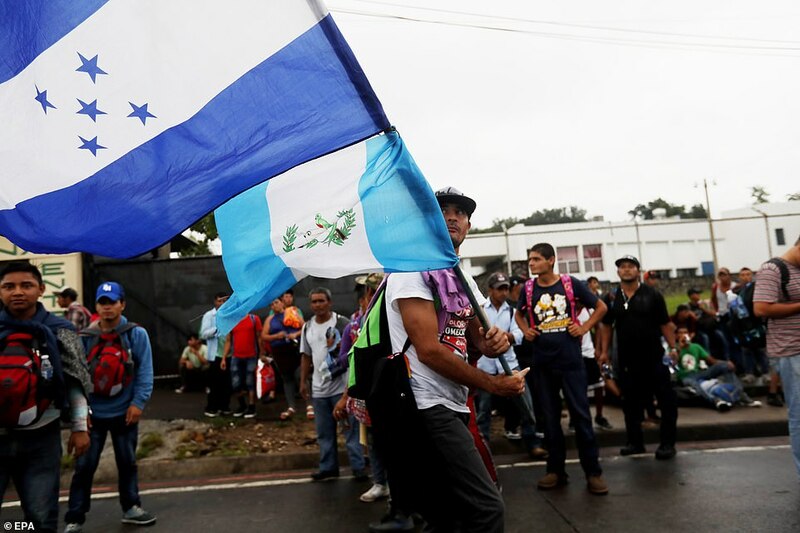 It is a move that will do nothing to diminish the belief by many that the ‘human caravan’ marching from Central America to the United States is nothing more than a paid political stunt intended to create chaos and division at the U.S./Mexico southern border. 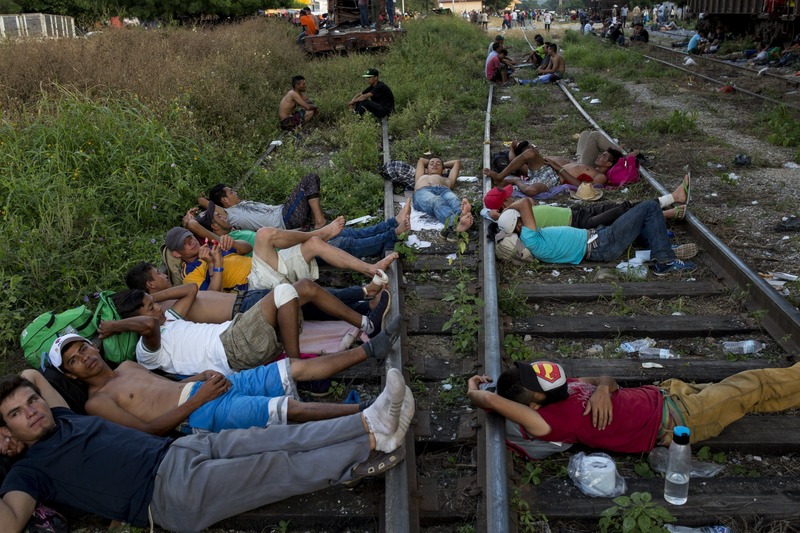 The self-proclaimed ‘refugees’ have been granted asylum by the Mexican government. These refugees refused which would indicate they are not refugees at all—but something else entirely. Allow Them All Or Build The Wall – What’s It Going To Be, America? As the ‘human caravan’ attempts to push through Mexican authorities and continue marching toward the U.S.-Mexican border (reports via other sources have repeatedly shown video of fences torn down. This was an isolated event and did not actually represent the greater facts on the ground. As of this writing, Mexican authorities are policing/monitoring/holding the caravan from moving forward, though, given Mexico’s penchant for bribery, this could change very soon) a question remains to the American people. 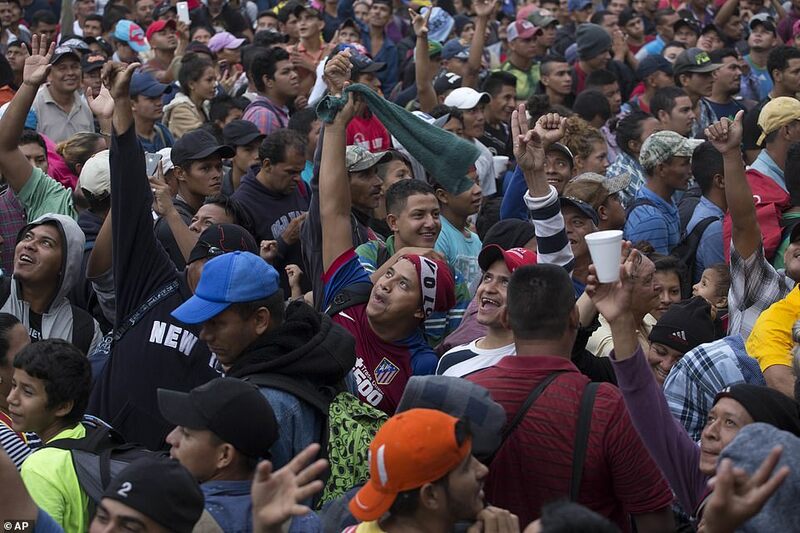 Should any human horde be allowed in if it shows up on the border or should we be a nation of laws and a secure border? It’s your call America, starting with the November election. 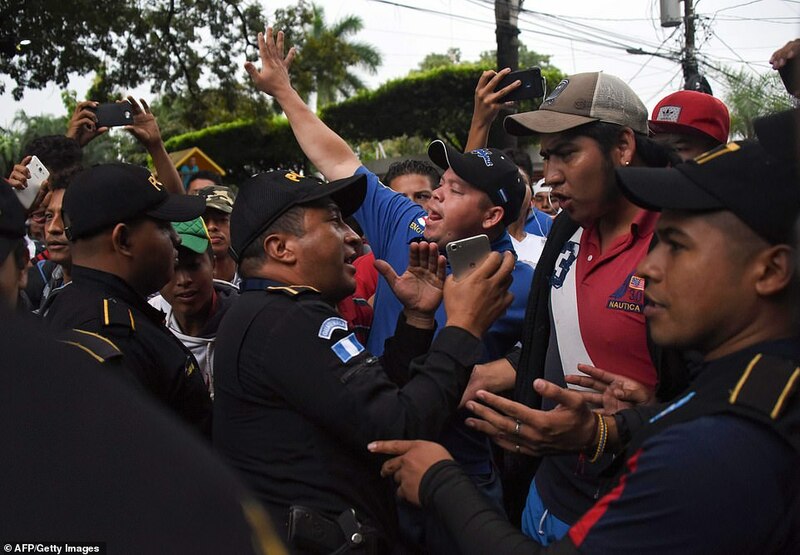 President Trump urged Mexico to intervene and block 4000+ invading Hondurans from marching to the U.S.-Mexico border and as of this moment, Mexico, with help from Guatemala, appears to be complying with that request as reported by D.C. Whispers earlier today. The question that remains is for how long? Check out the stunning photos of the conflict below via a Daily Mail report. 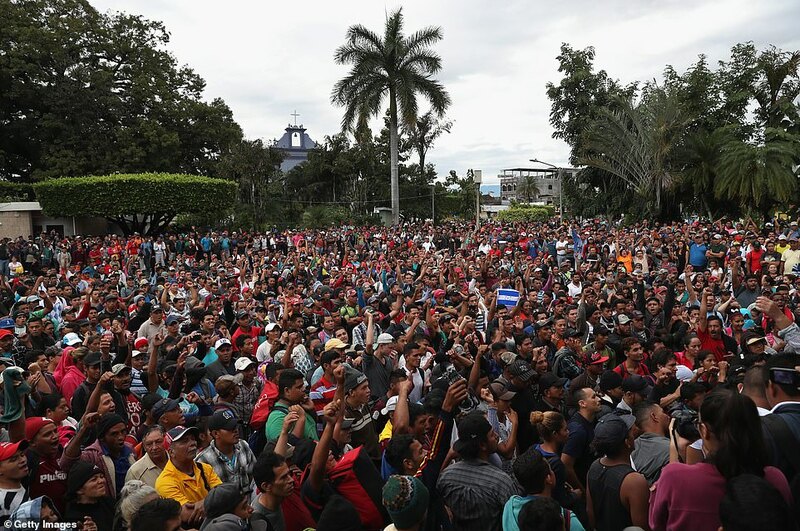 As you scroll down through the pics note how many men are part of the caravan. 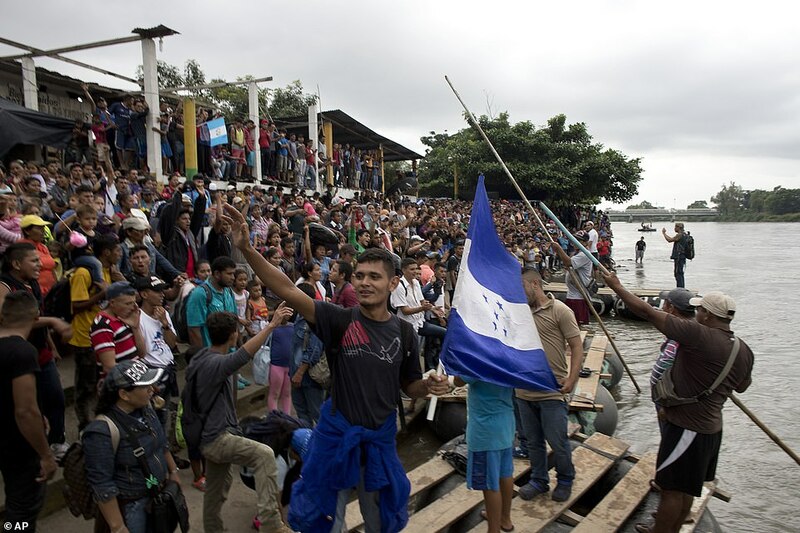 While the Establishment Media has been focusing primarily on those few women and children in the group, men are by far the majority attempting to illegally march into the United States. 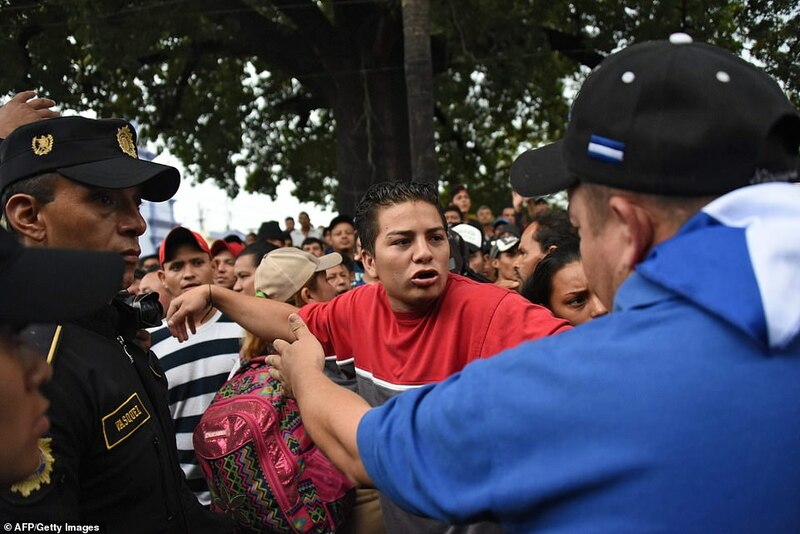 President Trump demanded the Mexican government halt the (operative paid) human caravan from Honduras that has been making its way north toward America’s southern border – and as of this afternoon, Mexico indicated it would comply with the president’s request. 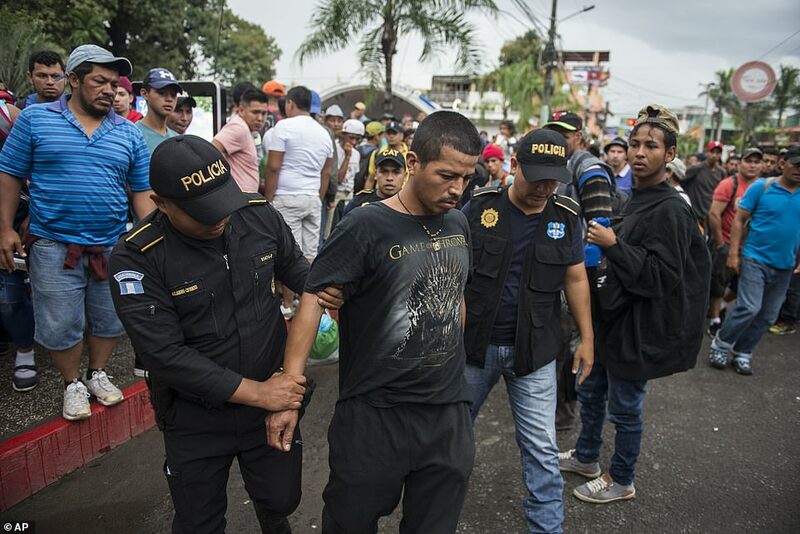 That last part is of particular importance as it is the first time Mexico has indicated a willingness to assist in curbing the influx of illegals into the United States. This comes on the heels of the significant trade renegotiation between the Trump administration and the Mexican government which in turn has greatly enhanced the leverage the U.S. now has over Mexico in matters such as this—all due to President Trump’s remarkable leadership. 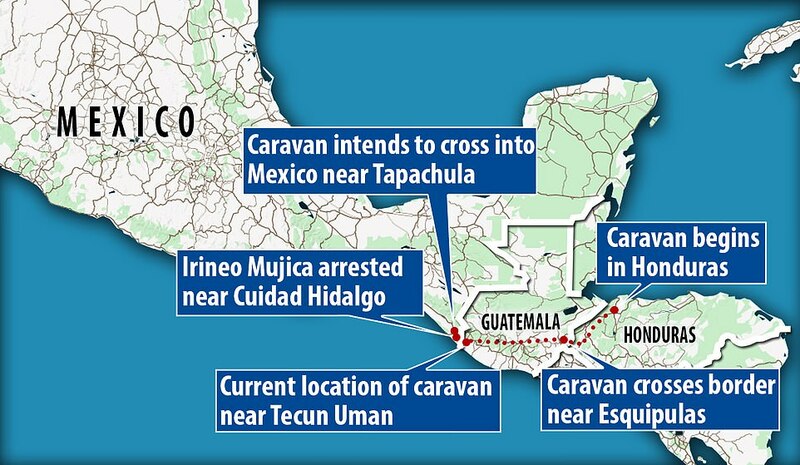 As previous reports here and elsewhere have detailed, the human caravan snaking its way from the south to the U.S. southern border was no accident. Those involved have been paid to do so by globalist activists intent on creating a crisis just days before the 2018 Midterm elections. 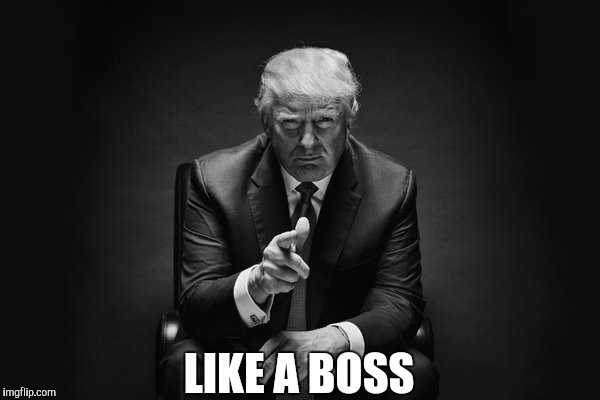 President Trump appears willing to give them the conflict these globalist operatives want by announcing his plan to send the military to the border and then close it down—Election Day backlash be damned. It’s a risky move for the president. While it will no doubt receive applause from his base of millions, it will also give the Establishment Media hours upon hours of coverage (no doubt to include the wails and tears of crying children and their mothers) in which to bash Republicans with. Once again it is the appeal of base emotion over common sense to try and manipulate enough votes to allow Democrats to take back at least partial control of Congress. Current estimates suggest the human caravan numbers could swell to nearly 10,000 people by November 1st due in great part to money pouring in to pay these people to help create the ‘human crisis’ Democrats and their media cohorts are so desperate see happen. The biggest unknown at this point is Mexico. It has the power to turn the invasion back at any time—but will it?